This week we heard that the UK's Transport Research Laboratory carried out some tests into distracted drivers. It found that it takes drivers longer to react to an emergency situation after looking at a message on a smartwatch than using a smartphone. The internet seemed surprised by this, Paul Singh, a blogger on the Huffington Post and CEO of a car safety company SafeWitness, called for Apple Watch to be banned for drivers and everyone struggled to remember if Google Glass was banned for drivers (it was illegal in some US states and similar plans were discussed by the UK government). Here's what we know. TRL states this was not a full-scale study and it has not released any information about which smartwatch was used in the tests. It wasn't an Apple Watch as reported. 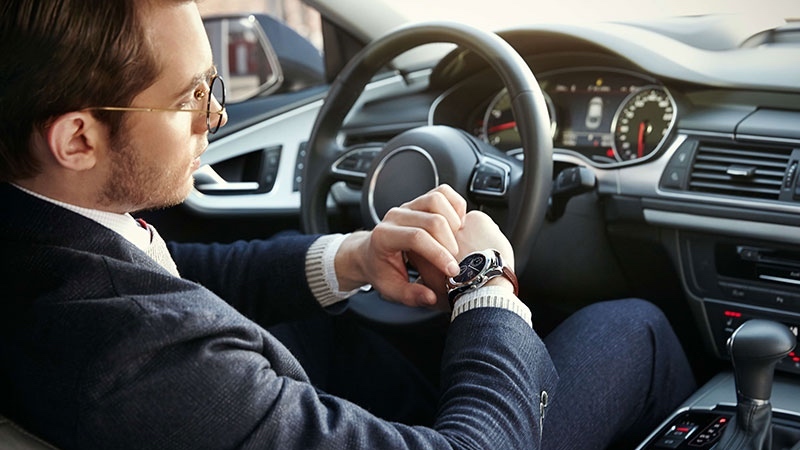 The average driver response time after using a smartwatch was 2.52 seconds, higher than the 1.85 seconds after using a smartphone and a lot higher than the 0.9 seconds after talking to a passenger. To clarify: the smartphone time was based on using it handheld, not hands-free. With one million Pebble watches sold to date and just 720,000 Android Wear watches sold last year worldwide, it would be safe to say that most of the people in the TRL study had never used - let alone regularly worn - a smartwatch before. The smartwatch use in the tests involved reading a message on the smartwatch screen. This isn't the future, there's a reason using a smartphone handheld has been banned in the UK since 2003. The future of staying connected while driving is hands free voice interactions, whether using your smartwatch, your phone or the car itself. Already apps such as Hyundai's Blue Link for Android Wear are using voice controls to lock and unlock cars, use the horn and flash the lights. One thing we will agree on: we'd like to see a smartphone-style driving mode built into both the Apple Watch and Android Wear, that perhaps switches to voice only, not an unnecessary ban on smartwatches while driving.